Before the repair comes the maintenance. 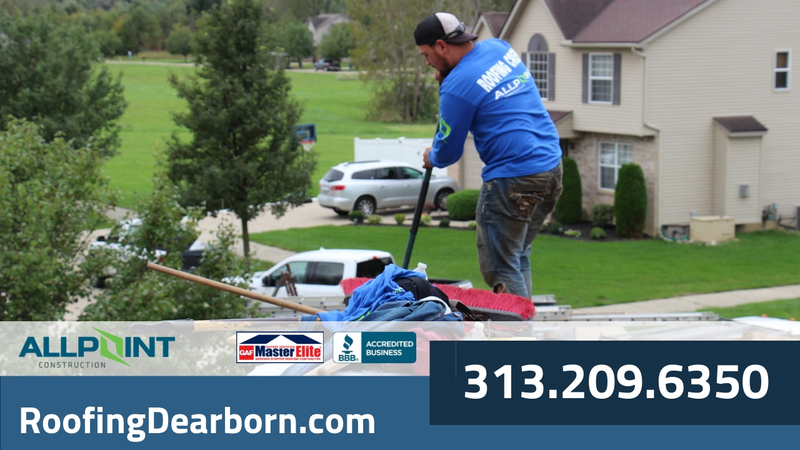 Roofing in Dearborn, Michigan can be complex, but is often necessary to keep the integrity and safety of your home intact. And yet, credible roofing contractors will tell you one thing: you can reduce the need for major repairs or even replacement by taking proper care of your roof throughout the year. 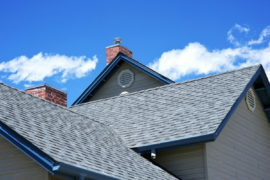 Too often, homeowners think that their roof doesn’t need attention until something goes wrong. The reality is that by the time something goes wrong, it might already be indicative of a much larger issue. Now, you have to pay more, and go through greater inconveniences, just to get it fixed the right way. It doesn’t have to be that way. Simple maintenance can help you minimize the chances for major repairs and delay the need for replacement of a broken roof. 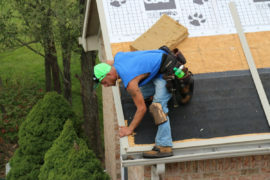 More specifically, consider taking these 10 steps to maintain your roof in Dearborn, Michigan. Regular roofing inspections can help you find issues that you simply cannot see from the ground. Look for missing or damaged shingles, flashing, and more. Simply walking around your home might also help you see signs of aging, damage, or moss and mildew. Make it a point to do these more informal inspections multiple times per year. Just how often do you need them? At the very least, consider inspecting your roof in fall, before it gets cold, and after winter. You can also go more frequent. For instance, it makes sense to look for missing or damaged shingles after every major storm. The weather in Dearborn can get extreme, and it pays to look for problems proactively rather than waiting for the other shoe to drop. Like regular inspections, gutter cleaning is another crucial part of regular roofing maintenance. In Michigan, we’re blessed with all four seasons – which means that in fall, you’ll have plenty of leaves washing into your gutters. In spring, on the other hand, you might have to deal with other debris that melting snow from your roof brings down with it. Your gutters are supposed to ensure water drainage. Debris and leaves can block that drainage, leading to major problems. Stay on top of it by cleaning your gutters at least once, and ideally twice per year. That might take little more than a garbage bag and a reliable ladder, depending on the height of your roof. Gutters lead to downspouts, and a blockage in your downspouts is just as (if not even more) significant than clogged-up gutters. More importantly, this area of your roof drainage system is more difficult to see. You know immediately if your gutters need cleaned. But how do you know that the same is true for your downspouts? The obvious sign is standing water in your gutters, even though they are free of debris. If you’re unsure, take your garden hose and run water directly down the drainage. If it drains slowly, you likely have at least a minor blockage. Once you realize that, disconnect your downspout and stick your garden hose into it. Turn it to the highest pressure setting, and see if it can push out the leaves, twigs, or debris blocking the water. If that doesn’t help, a plumber’s snake can also do wonders. Other than extreme weather and aging, trees can be among the biggest dangers for a healthy roof. If you’re not careful and they grow too close, their leaves in your gutters will be among the least of your problems. Yes, you have to worry about them potentially falling on your roof. But even if they don’t, they can present issues that many homeowners don’t know about. For example, you should absolutely avoid tree branches and leaves ever touching your roof. Once that’s the case, you risk damage to your shingles. And if you keep letting them grow, the damage to your roof could be significant. Fortunately, maintenance is easy: keep your trees well-trimmed to avoid any immediate dangers. Part of maintenance is prevention, and one great way to do that is to check your attic periodically for any roof leaks. Don’t wait until the leak makes it into your living room or kitchen. Instead, find the first sign of damaged shingles or bad flashing by taking a look directly underneath of the surface that’s so crucial to keeping your home dry. Knowing what to look for here might be complicated. It’s not always completely wet, and might just be moist to the touch. When in doubt, consult with a roofing contractor in Michigan to get an inspection that doesn’t just look at the top of the roof, but its underneath as well. A single damaged shingle may call for a quick repair. Once many of them become damaged, the issues become more significant. Naturally, you want to avoid a complete replacement of your roof by finding early signs of damage on your shingles, whether it’s during a regular inspection or your annual gutter cleaning. First, look for dents in the shingles. Since they’re designed to be straight, that’s usually a bad sign. Especially bad whether like ice and hail can lead to these dents. In addition, pay careful attention to the edges of shingles; if they are frayed or missing pieces, you’re seeing the early signs of a repair or replacement need. This is a general step that should become a mantra for your roof: don’t wait to repair any issues you find. When you do, ignoring the problem only makes it worse. Clogged gutters and downspouts leads to pooling water and, eventually, leaks. One damaged shingle leads to others. Instead, fix issues as soon as you can and as soon as you detect them. Prevent, rather than react. The earlier you tackle the problem, the more money you save in the long run–and the less likely you will be to incur major damage that actually threatens the integrity of your home. Especially flatter roof that tend to hold pooling water, or roofs with clogged downspouts, may find moss and mildew growing on them. Left alone, that growth can trap water, which eventually leads to significant damage. Again, early treatment of any evidence you find is absolutely crucial for long-term roof health. In early stages, you might just be able to sweep away the moss. Once it’s taken a hold, you might need more professional cleaning, which costs more. Specific soaps are designed to help with this problem, but they cost money and moss removal itself will take significant time. Ice on your roof tends to be a bad sign. It means that the water from melting snow or rain can’t escape, for one of the many reasons mentioned above. Once it takes a hold of your roof, it expands and contrasts, and can rip apart your shingles. It’s a situation every homeowner wants to avoid. Here, prevention is absolutely crucial. Trying to rip ice away from your roof can actually damage your shingles. Instead, prevent it from forming in the first place. Make sure that before a major snowstorm or weather alert, you know that your drainage functions properly. When snow builds up on your roof (a common occurrence in Michigan), sweep it off before it can melt and re-freeze as ice. Some of these roofing maintenance tips are easy. Some require at least some expertise in knowing what signs to spot, and how to take care of them. That’s why when possible, you should find a roofing pro who can help you not just take care of existing problems, but help in preventative maintenance as well. Here, local expertise is absolute key. 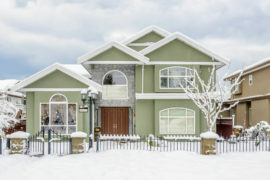 A national roofing contractor doesn’t know what roofs in Dearborn, Michigan face especially during cold winters. 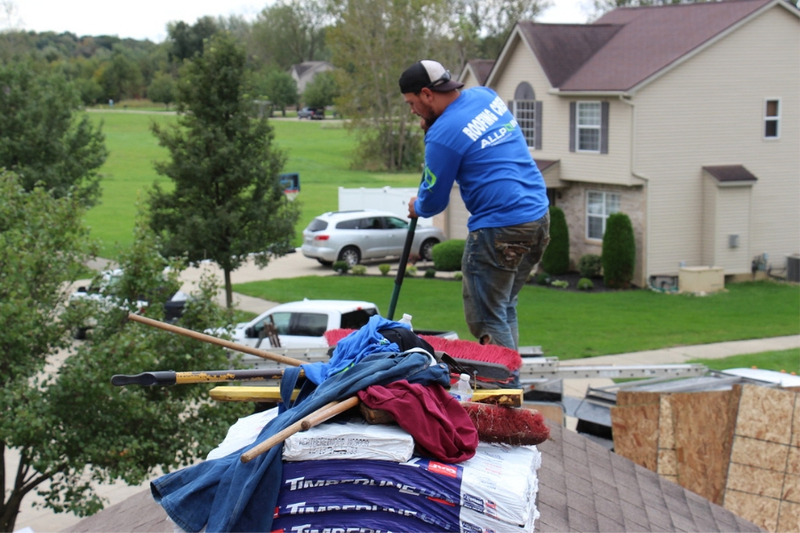 Instead, find a contractor who knows your area, and knows how to deal with any weather-related issues and events that might impact the health of your roof. Finding the right contractor is not as simple as looking them up on Google. You have to make sure that they’re credible, know the area, and can actually help you maintain your roof. If you know what questions to ask your roofing pro, you can vet potential companies to make sure you find the right partner for your needs. We want to be that partner for you. Customers have called our workmanship exceptional, and our Better Business Bureau rating of A+ speaks for itself. 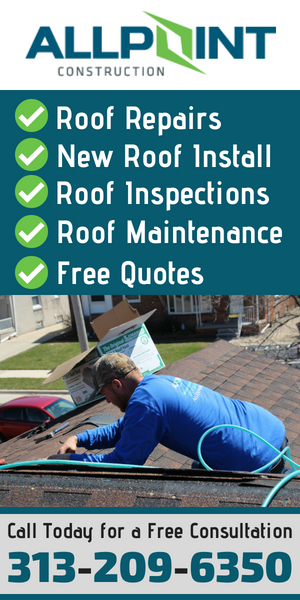 Whether you just need some advice in how to maintain your roof or you need major repair help, we can work with you. Learn more about Allpoint Construction, and how our long-term roofing expertise in Dearborn, Michigan can help you and your family stay safe and dry in your own four walls.